"The justice ministry has ordered the end of the prosecution of our activists," said lawyer Emmanuel Sim, also vice-president of the Movement for the Rebirth of Cameroon (MRC), one of the main opposition parties. MRC candidate Maurice Kamto came a distant second in the election with 14 percent. He later rejected the result, claiming widespread fraud. 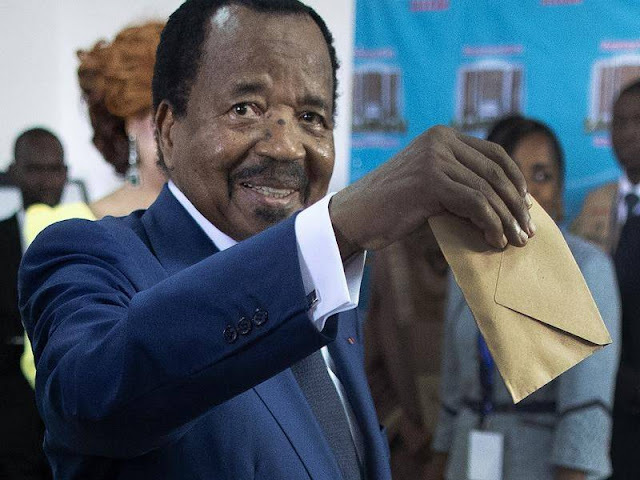 As well as fraud allegations, the election was marked by low turnout and violence, particularly due to a secessionist uprising in the anglophone Northwest and Southwest regions. The prosecution of 52 opposition activists who protested against the re-election of 85-year-old Paul Biya as Cameroon president has been abandoned, their lawyer said on Tuesday. The activists were arrested at the end of October in Douala, the economic capital, on the sidelines of a demonstration against the election of Biya, who had won a seventh consecutive term. They have now been released. Biya, who has ruled the West African country for 36 years, won the October 7 election with 71% of the vote, according to disputed results.